Until recently, Portland's craft beer explosion left our neighbors across the Columbia River largely out in the cold. I've talked about this before. For much of the last 10 or so years, the trend in brewery growth in Clark County was mostly anemic. Today, the course is shifting. This was bound to happen. There is a gigantic underserved population in what might be referred to as metro Vancouver. The key to tapping that audience has always been the same: You need a product that's good enough to compete with Portland. Your underserved audience generally prefers to stay near home, but it refuses to accept a poor product. That presented an elusive challenge for many years. No more. 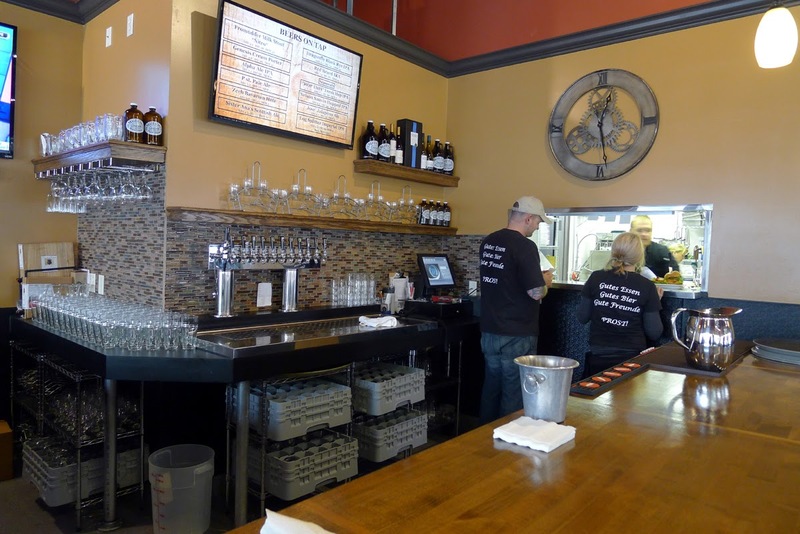 Another example of the progress that's being made in Clark County is Mill City Brew Werks in Camas. Located in the charming and historic downtown area (only blocks from the paper mill), Mill City features an extensive line of great beers and a food menu packed with tasty items prepared on site. There is nothing fake or shoddy here. Quality is king. 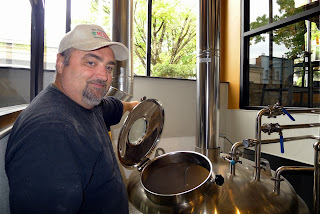 Owner Mark Zech comes from a long line of brewers. He started homebrewing in 1985, but says his ancestry has several centuries of brewing experience. These things are hard to verify. Yet you get the feeling he knows fully what he's doing. Mill City opened over the summer and the place is doing well. There are reasons for these things. When Mark and his wife were in the early stages of planning the business, they did guerrilla marketing out of their residential garage. They offered food and beer in exchange for honest input on what was good and what wasn't. That input was used to develop the beer and food lists. Smart move. 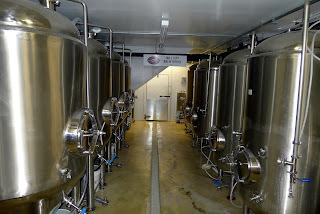 Mark installed a 10 bbl brewing system in the basement of the pub. 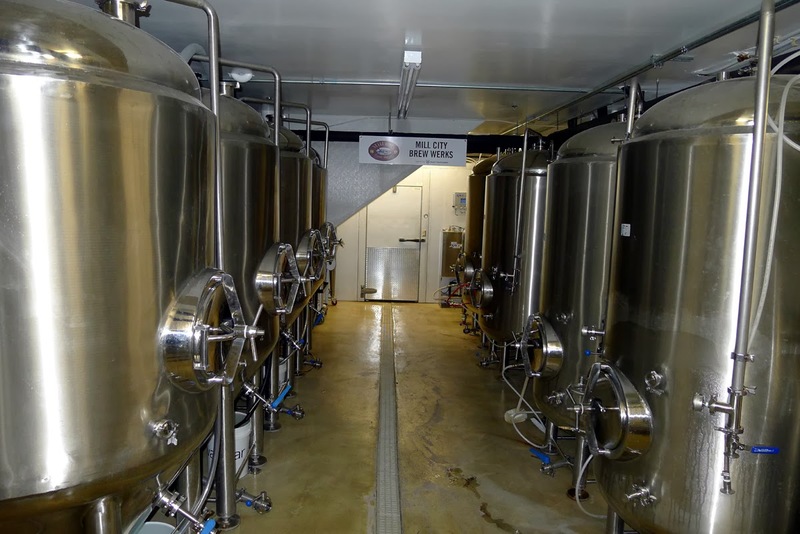 He has four good-size fermenters and the same number of brite tanks. All the beer is kegged for serving and makes its way to the pub above via glycol-chilled lines. 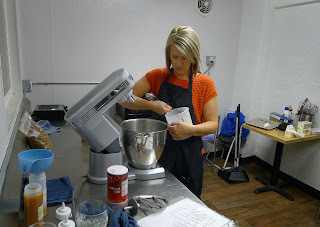 Next to the brewery is a bakery, where they create desserts and a variety of baked items. Fresh ingredients arrive daily. This place is all about hand-prepared food and beer. 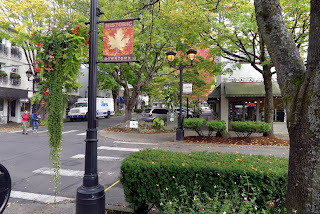 The brewpub approach that kick-started the craft beer revolution in Portland and around the country is on display here. 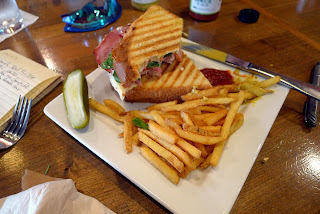 Mark believes good food attracts customers who might not come in strictly for beer. People who do come in for beer will stay longer and drink more beer because they offer food. There's more overhead in food, but it's worth the additional cost, he says. It's a proven concept. I tasted virtually everything on their beer list, as well as a couple that are simmering in the basement and not on the beer menu. Aside from a Scottish Ale that is cloudier than it should be (the yeast refuses to drop out of solution, Mark said), it's a stellar list. Even the Scottish Ale is pretty good if you drink it with your eyes closed. Red Beard IRA (7.4% ABV, 85 IBU) is a quality red similar to Double Mountain's IRA. I'd say the malts obscure the relatively high IBU count, but that's fairly common in reds and ambers. Zech's Bavarian Hefeweizen (5.5%.ABV, 11 IBU) is a traditional Hefeweizen with strong clove and banana aromas and flavors. This beer competes with Alpha IPA for their top selling brew, Mark said. I get it. This was the first keg to blow at Skamania and I heard several people raving about it. Log Splitter Imperial IPA (9.5% ABV, 90 IBU) leans on eight types of hops added at different times. The beer is deep copper in color and packs a wallop. They serve Log Splitter in an 8 oz snifter for good reason. It isn't dry-hopped, so it lacks the aroma of the standard IPA..but it's a fairly complex beer. Jose Jalapeno Ale (6.7% ABV, 19 IBU) is a mild mannered chili ale. I am not normally a fan of these beers. But this one is very well-executed. 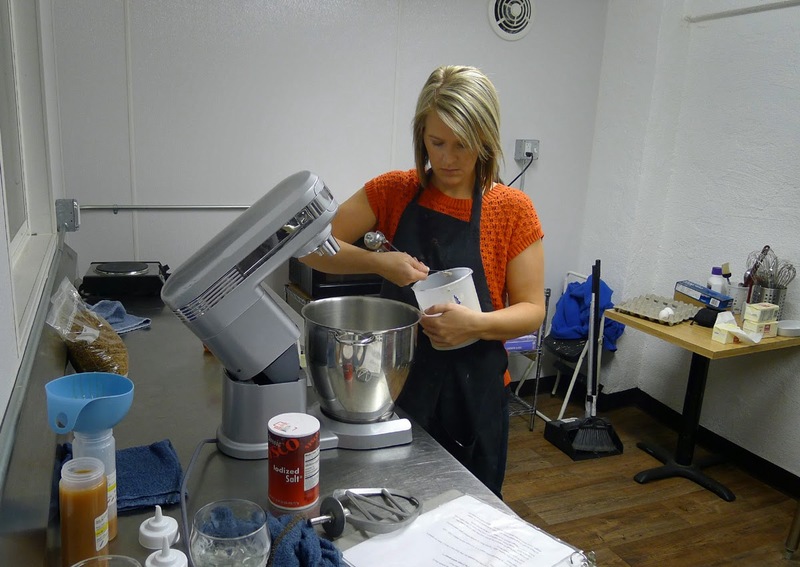 They added 25 pounds of roasted jalapeno for several days during secondary fermentation. The result is a beer that has mild jalapeno notes, but lacks the throat burn so common with these beers. Pst Pale Ale (5.2% ABV, 26 IBU) is a sessionable beer that works well. This one leans on Citra for dry-hopping and the aroma is unmistakable. This is a great choice if you like the smell of Citra and plan to have a few beers. Some of the other beers included Hop This Fresh Hop IPA (no green moldy character here), Dragonfly Black Rye IPA (great if you're a fan of rye beer), Genesis Cream Porter (full-bodied), Milk Stout (smooth as silk on nitro) and Nelson Sauvin IPA (made exclusively with New Zealand hops). You can find Alpha IPA in a few places around Vancouver and apparently as far north as Longview. These guys have only been open for a few months and getting access to tap handles is a work in progress. 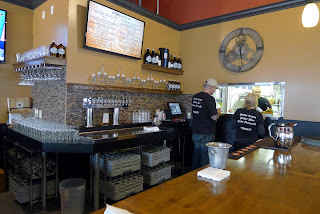 Alpha IPA has been on at Pizza Schmizza, Brickhouse and Lapellah, to name a few. More coming. It's interesting. Mill City has no plans to enter the Portland market. Mark says they will focus on Clark County for now. 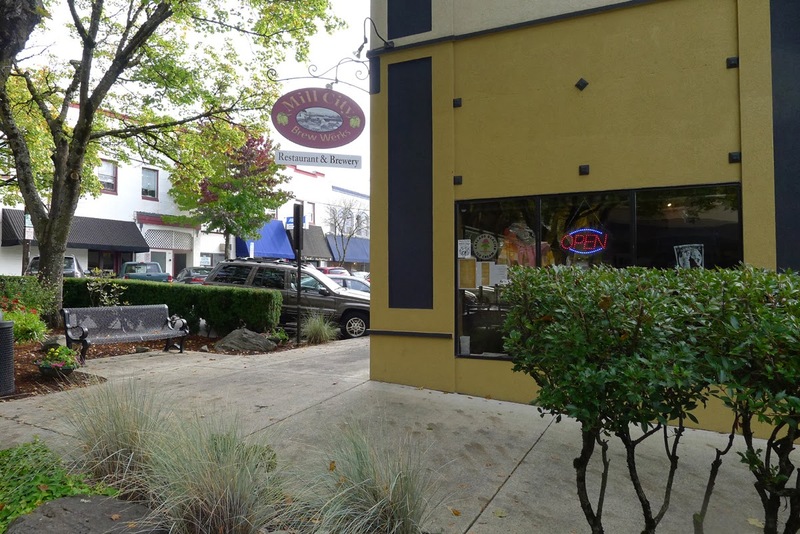 If things go as he expects, long-term plans include a brewpub in downtown Vancouver, a production brewery outside the city and entry into the Seattle market. He intends to begin building the Mill City brand in Seattle in the near future so he'll have a customer base once the production facility comes online. 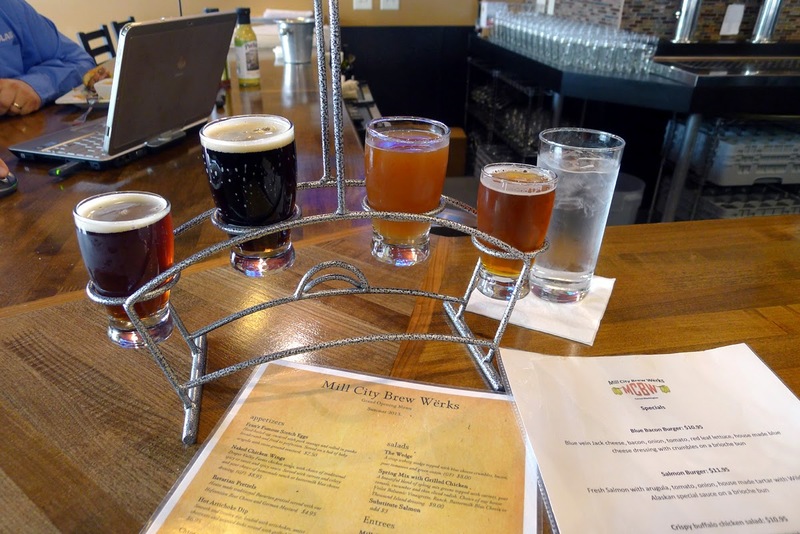 Mill City is certainly a worthy addition to the local beer scene. The fact that it's located in an underserved area in a charming spot makes it just that much more appealing. Check it out if you have a chance. 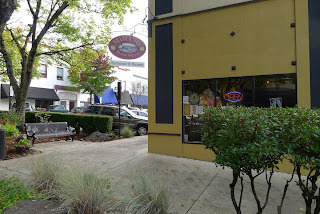 Mill City is located at 339 NE Cedar in Camas. They have a Facebook page, but no website.